Worship At First Baptist Church of Oakville, Christ-centered worship is the most important ministry we have. Our worship style is a blended traditional style with elements of contemporary worship. Our preaching is dynamic, Biblical, and relevant. 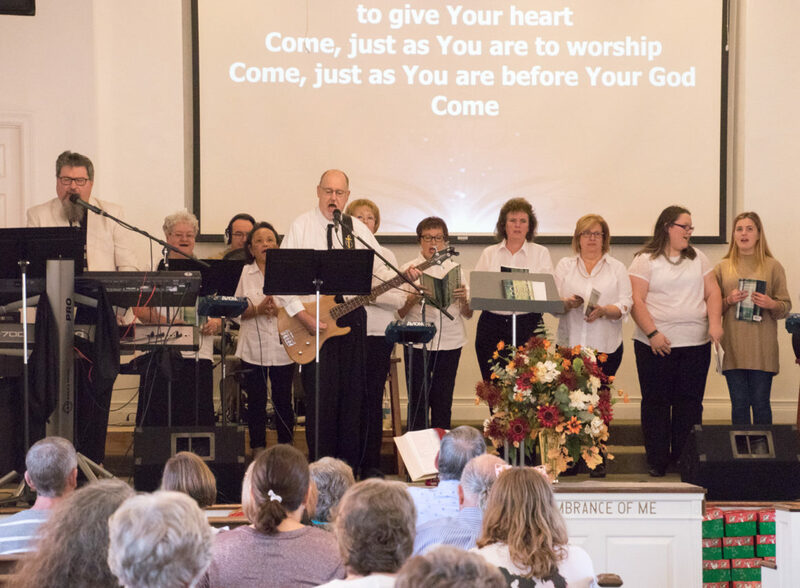 Our Music Ministry includes a worship choir that actively serves each Sunday morning, and also presents special programs, cantatas, etc throughout the year. The Church meets for worship on Sunday morning at 10:45 am and Sunday evening at 6:00 pm. Our evening worship meets in the Church Activity Center, and includes a potluck fellowship meal as part of our worship.